You’ve heard us talking about Line-X bed liners for years, and for good reason. These spray-on bed liners are made from a special, proprietary formula that has been honed to perfection. Line-X protective coatings form a tight, custom bond to the bed of your truck and are almost impossible to damage. In addition to those factors, they are also very stylish and are available in several colors. While all of those are important points, what we see as one of the biggest benefits of a bed liner from Line-X is one of the most simple: it will help you save money. Read on to learn about the ways that a Line-X bed liner that is expertly applied by the highly skilled and experienced technicians at Safari Truck & SUV Accessories in Jacksonville will help you keep more of your hard-earned money where it belongs: in your wallet. When you are in the market for the best truck accessories, including nerf bars, grille guards, and bed covers, give us a call. We will provide you with a free estimate on parts and labor, and we will be happy to answer any questions about the truck accessories we have for sale. Our technicians will install your new bed liner by using specialized equipment that helps form a bond that cannot be penetrated by water or other contaminants. By installing a Line-X liner to your truck bed, you are stopping any paint or rust damage that has already occurred while preventing any new damage from ruining your truck. A bed liner is more economical than a new coat of paint or a new bed, it looks better than a scratched up bed, and it will make your ride more quiet and more comfortable thanks to its sound-dampening properties. There is no reason not to get one! Line-X is so confident that they have developed the strongest possible material for their bed liners that they offer a lifetime warranty. If your liner starts to bubble, crack, or flake, they will pay to have it fixed. There is no other way to have this level of protection without worrying about paying for a replacement. Other spray-on liners can’t compete and flimsy drop-in liners are not even in the same league as Line-X. After you pay for a Line-X bed liner, that’s it. No more fees, just a better-protected bed. Contact us now for more information or to schedule an appointment. We are here and ready to help you better protect your truck with a new bed liner, grille guard, nerf bars and more. 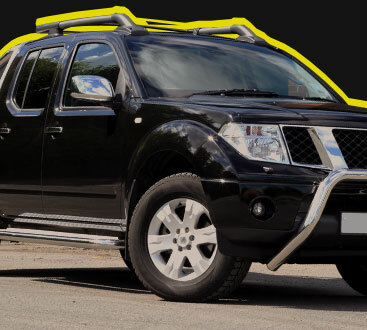 If you are looking for the most experienced shop in Jacksonville, look no further than Safari Truck & SUV Accessories. With more than ten years in business, no one knows how to take care of you like we do. 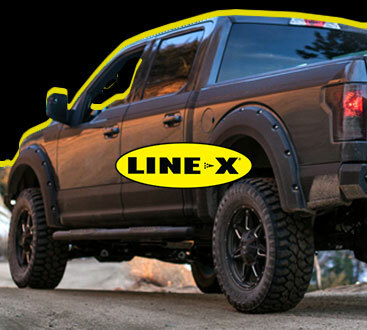 Give us a call today and learn more about Line-X and how it can make your truck look better and last longer.